On the False Bay coastline of the Cape Peninsula is a small village named Kalk Bay. Its been around since the Dutch arrived at the Cape in the 1650's to start a garden to supply their ships with produce. Soon after their arrival in April the winter storm struck and ships in the bay had a torrid time negotiating the strong north east winds that gusted across the bay. After losing a number of ships to the winter storms the Dutch East India Company or VOC discovered that Simon's Bay near Simonstown was a safer anchorage during winter and ordered their ships to anchor there between the 15th of May and the 15th of August each year. In the 1740's Simonstown was not an easy place to get to by land as the route between Fish Hoek and Kalk Bay was very mountainous with steep slopes that made it extremely difficult to navigate with ox wagons. Once over the mountains, the quicksands along the Fish Hoek and Glencairn coastlines hampered the ox wagons even further causing the Dutch to look for alternatives to get supplies to their ships anchored in Simon's Bay. It was decided that Kalk Bay would be utilised as a port and that goods would be shipped there by ox wagon and then loaded onto barges which would then be transported by sea to the waiting ships. After dropping off their loads the wagons were loaded with lime and fish for the return journey to Cape Town. The lime came from shell middens found near Kalk Bay point. As the Dutch name for lime was " kalk " the bay inherited the name from the lime that was found there. The decision taken by the VOC to use Kalk Bay as a harbour had spinoffs for the village as a number of warehouses had to be built to accommodate the freight being shipped from the port. The boom period that originated from the harbour did not last long. The British invaded the Cape in 1795 and their engineers set about building a hard road around the slopes of the Kalk Bay mountain which would enable ox wagons to reach Simonstown with little difficulty. The time had once again arrived for Kalk Bay to reinvent itself and it did so by becoming a whaling station. Simonstown was the ideal spot for the whaling station but as residents complained about the smell caused by the rotting whales it was moved to Kalk Bay. Whaling continued unabated and as there were no restrictions placed on the numbers of whales caught the stocks of Southern Right Whales soon dwindled until they were nearly hunted into extinction. 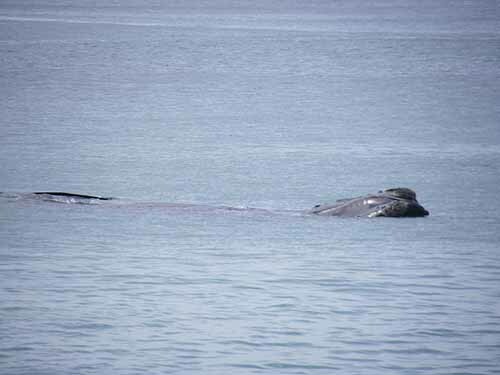 Today with a moratorium on whale hunting False Bay from July to November is once again the home of the Southern Right Whale. The collapse of the whaling industry forced Kalk Bay and its harbour back into a recession. Fortunately Kalk Bay is one of those villages that each time it goes into a slump something happens to revitalise it. This happened again in the mid 1840's when a Filipino ship sank off Cape Point and its crew settled in Kalk Bay. They soon discovered the abundance of the fishing grounds in False Bay and used Kalk bay as their base to land the fish caught. Over the next few years the Filipino community grew slowly and every now and again a Filipino crew member from a passing ship was persuaded to jump ship and settle in Kalk Bay. In the 1850 's when an uprising in the Philipines caused many Filipino's to escape their homeland and seek shelter elsewhere a large number of them settled in Kalk Bay. Many of these people returned to the Philipines in 1898 when the Americans took over the administration of the country. About 60 families stayed on and many of the family names brought to Kalk Bay by the people from the Philipines can still be found in the area today. When the slaves at the Cape were freed many of the fishermen who originally came from Batavia, Java and Malaysia moved to Kalk Bay to ply their trade. The village got a further population boost in 1883 when the suburban railway line was built and allowed people to live in Kalk Bay and be able to commute to work in Cape Town and its southern suburbs. Kalk Bay boomed as houses hotels and shops sprang up. For a short period between 1895 and 1913 Kalk Bay became a Municipality. Unfortunately the economy based on fishing could not be sustained as the fish resource was being over fished. The area once again went into a decline in the early 1950's helped by the advent of the Apartheid system. 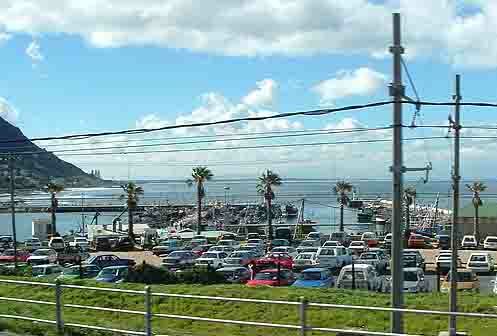 Much suffering was caused to the Kalk Bay population because of its policies. 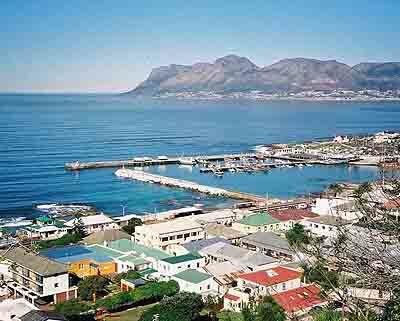 Kalk Bay and its harbour however survived all the hardships fate could throw at it. Today Kalk Bay still has its working harbour and fishermen use its facilities daily . At lunch time the calls of "Snoek for Sale" can be heard when the fishermen return from the fishing grounds. It's a time for fun and games as the fishermen and the public haggle over prices. Kalk Bay although known as a fisherman's village has much more to offer its visitors than fishing. Built on the slopes of the Muizenberg mountain range it has beautiful views out over False Bay. A climb up the slopes to the top of the mountain will give you an even better view and also access to a number of sandstone caves which can be found at the top. There are rumours that these caves are haunted but as most people visit them in daylight hours they do not have much trouble with the resident ghosts. The main road through Kalk Bay forms part of the old main road from Cape Town and along its course are still many of the small houses that were built over the years of Kalk Bay's existence. Many of them are no longer used as houses as they have been converted into antique shops and restaurants for which Kalk Bay has become famous. In the main street goods are packed outside on the pavements and buildings are painted bright colours to attract visitors. Everything from junk to genuine antiques can be found in the shops. The waves breaking over the Kalk Bay reef a few metres from the harbour wall are very popular with surfers who vie with each other for the best spots when the sets come rolling through. Great White sharks sometimes cause consternation amongst the surfers when they make their appearance. The False Bay coastline between Muizenberg and Fish Hoek has been in decline for a number of years now but that is all set to change in the not too distant future. Many of the old hotels and buildings lining the main road have been bought up by property developers who have renovated them and turned them into residential villages. When these new residences are made available to the public the coastline wil be repopulated causing a mini property boom in the area. For those interested in staking their claim to some of the most exquisite views along the False Bay coastline its time to take action as these renovated properties are going to sell like hot cakes. If you cannot afford to buy property then why not just visit the area to see some of the views for yourself.